On 10 October Mette Bruhn-Pedersen and I will give a keynote presentation on the testnet conference. Proud to be giving a keynote on this great event and enthusiastic about sharing the stage with Mette. In our keynote we will discuss how testers can contribute with their knowledge and expertise in a scaled agile organisation. We will use the Scaled Agile Framework for Lean Enterprises (SAFe) challenges how testers, Q&A and test managers, and test specialists work together with the entire organisation. Although the framework is described in more details than other comparable frameworks it is not very elaborate on how testing and quality practices fit in. This raises new challenges for testers, Q&A and test managers, test architects, test specialists and people in similar roles together with the entire organisation. We will describe what guidance SAFe actually provides and suggest additional ways test and QA professionals can contribute with their special knowledge and expertise. Test and QA professionals can add value at all organisational levels in ways that are not described in SAFe. Defining a quality strategy is key to handle typical issues with test and QA activities spanning multiple teams and even multiple Release Trains. Getting quality and testing anchored on Portfolio Level ensures that quality can be built-in from top to bottom. 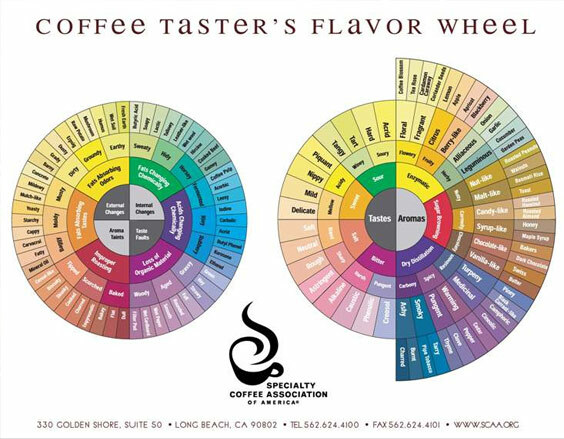 In coffee land (but also in whiskey land) they use a taste (or flavor) wheel to describe tastes that you can look for while sampling the coffee. See the illustration for an example made by the Specialty Coffee Association of America. The taste wheel serves as a kind of checklist, but also helps to give names to the flavors. It provides a language that is commonly understood among the tasters. The coffee taste wheel displays both the disqualifiers (bad tastes like burned, to bitter, etc.) and the nice flavors (the qualifiers) of the coffee. We can use this idea to make or own testers-taste-wheel, include it in our test strategy and find our own language to make the business understand how we rate the system under test. On 12 September Andreas Prins and I gave two presentation on the TestNet session night. The theme of the event was: Transforming testing to fit modern development. Andreas identified various rhythms (or wavelengths) in the SDLC and explained the automation that can be done in order to have short lead times and frequent feedback on code quality and delivered value. My presentation was called “I am an agile tester, because…”. During my talk I discussed what it takes to be an agile tester and I introduced 12 statements that can be used as manifesto for the agile tester. During the presentation 49 participants filled in the survey and we got a nice impression of how agile our testing is. You can find the results below, and in the slide deck. Using a recent project I was involved in I put these statements to the test. I explain the test strategy I applied and shared my successes and failures. One of the participants tweeted about the presentation: “A nice war story. The 12 statements trigger me to think about my own role and the role of testing within my project and organization”. I think I succeeded my mission. If you want to perform the survey yourself and find out what makes you an agile tester, you can find it at the valori website (in dutch). If you want an English version, do not hesitate to contact me. In May this year Valori piloted a serious game in which participants experience the challenges of inter-team collaboration and gain insight in the various scaling agile frameworks, like SAFe, LESS and Nexus. This Video gives an impression of the game when we hosted it at the TestNet Event. If you like to experience the Scaling Agile Game yourself contact me or someone at Valori. Andreas Prins (VP Product Development @XebiaLabs) will talk about the different faces of testing in DevOps. We all know testing is an ever recurring theme, but to deliver our applications successfully, practices have to change and we have to broaden our scope. Modern software testing is critical to successful application development, but the approach differs depending on the wavelength. I will open the night with my talk called:”I am an agile tester, because“. I will share 12 statements that define the agile tester. We will discuss how these statements impact the software development life cycle and how they enable you to explain why you do what you do as a tester, to improve yourself and discuss it with your team. Together the two talks will give insight on how we transform our testing to fit modern development practices. Click here if you want to see the first video we made. We hope to see you in Potsdam ! DPD has embraced agile as development method in order to respond better and faster to the demand of the (internal) customers. Together with colleague agile coach and a Scrum master from Valori we have assisted the organisation in starting-up and executing the first sprints. Today we have finished the first phase of the transition in a festive way and we see that the change has worked out well. Agile lives in the organisation and the development teams output is predictable. It is transparent in what it is working on and delivers at the end of the sprint. “Perhaps the best thing is that nowadays people dare to say NO”, said the client during his speech, “that may sound crazy, but it means that we have more focus and the development team will not let themselves be bothered by small distractions.” Of course there is always room for improvement, yet we are very enthusiastic about what has been achieved within a short time. Time for cake! I am really looking forward to host a tutorial on the Agile Testing Days this year. I will do this together with Jan Jaap Cannegieter, and with you. I you decide to participate. In order to persuade you to join the ATD in general, and our Tutorial in particular, Jan Jaap and I sat down to make you a video-introduction. We start the tutorial by looking at the list of ‘old-school’ test management activities and discuss their value. Are they stil done in an agile context, done by the team or done by someone else. Based on the outcome of this excercise we will discuss, explain and experience different test management activities. We will make (by means of an exercise) an agile test strategy for a specific application, and learn how we can plan and monitor testing in a sprint and over sprints. We will use session based testing for this. We will also do an exercise with light weight documentation (one page test plan and test charters). At the end of the day we will understand and have experienced basic test management activities in an agile environment. They also know which test management like roles can add value in agile organizations. And you can be either on of them, at your own level. Develop yourself and your team in order to keep adding value and embrace the new opportunities that arise. I think TestingUy did a great job with this recording, and it looks great. It is not that often that I get to see a full recording of one of my talks with this quality, so I am proud to share it with you.